If you’ve never seriously used an apron in the kitchen, we need to change that. I resisted using one for years, thinking it was unnecessary and, yes, a bit showy. But then my mother bought me an apron and my inner chef took over. Cooking and baking have never been the same since. No joke. Here are 10 DIY aprons every cook NEEDS! Find your fabric at Michaels. I love the selection they have! I’m starting with my favorite. I love everything about this apron, from the fabric to the ribbon to the spoon pockets on front. 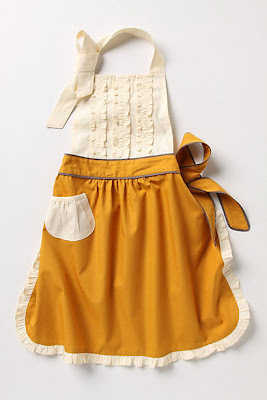 A little bit of Cinderella’s magic mixed with the kitchen prowess of Julia Child, this is a MUST HAVE DIY apron. 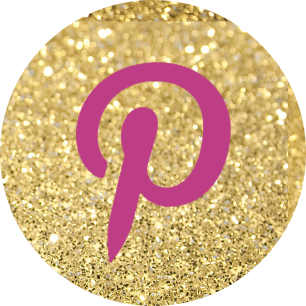 Find the sewing tutorial on Style Me Pretty. If full aprons aren’t your thing, a waist option is your answer. You still get some clothing coverage, an easy-to-grab rag for drying and cleaning your hands, and pockets to keep cooking tools close at hand. No need to look further than you closet for fabrics to make this DIY project… it can be made entirely from old t-shirts. Learn more about this DIY apron here. Every part of my baker heart just sighed! I adore this vintage Tea & Crumpets apron! The pocket, the ruffles, the edging… it’s just apron perfection. Bring some class and elegance to your kitchen to by following this instructional from The Blue Robin Cottage. Dish towels are good for more than just wiping counters and drying hands. You can even find a set of dishtowels at the Dollar Tree! They can be used to make super cute and functional aprons as well! I love the simplicity of the look and the project! Learn more here. 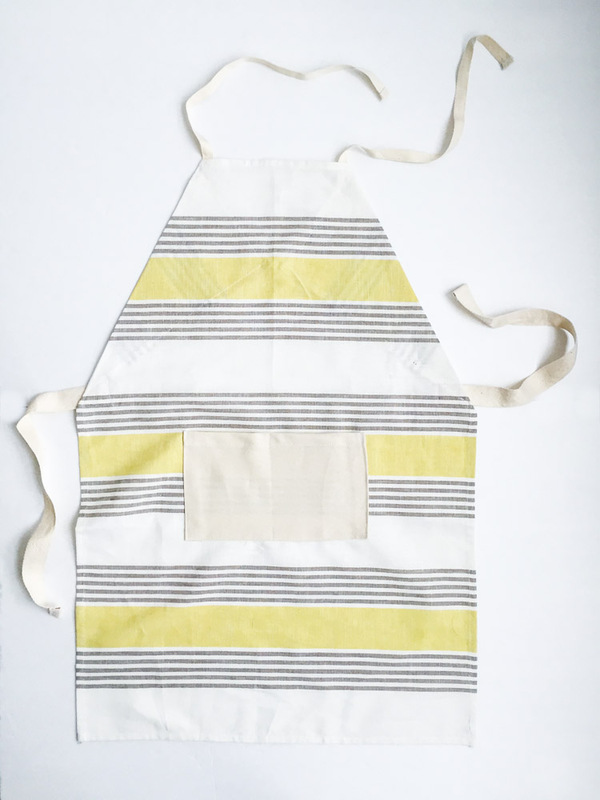 Here’s another apron made from tea towels. This time, however, make a waist apron fit for the finest cafés in Paris. C’est magnifique, non? Tutorial here. 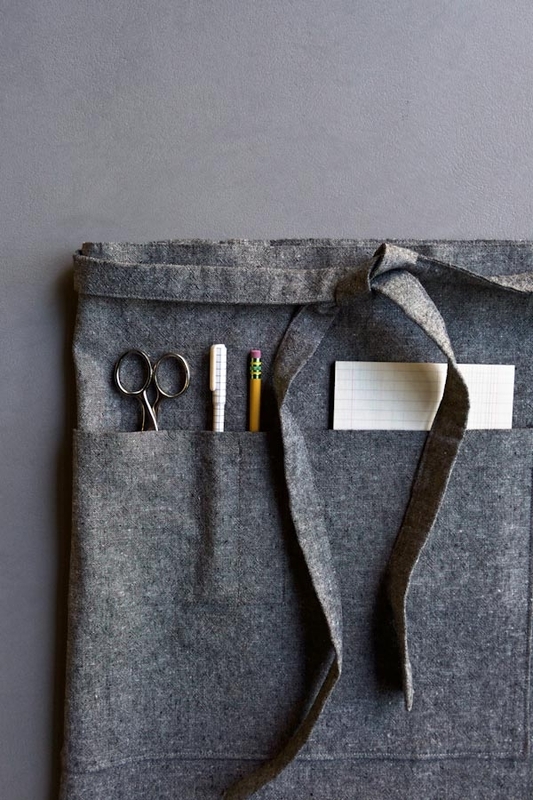 For artists and serious show bakers alike, you couldn’t find a more perfect apron than this shop apron from Purl Soho. 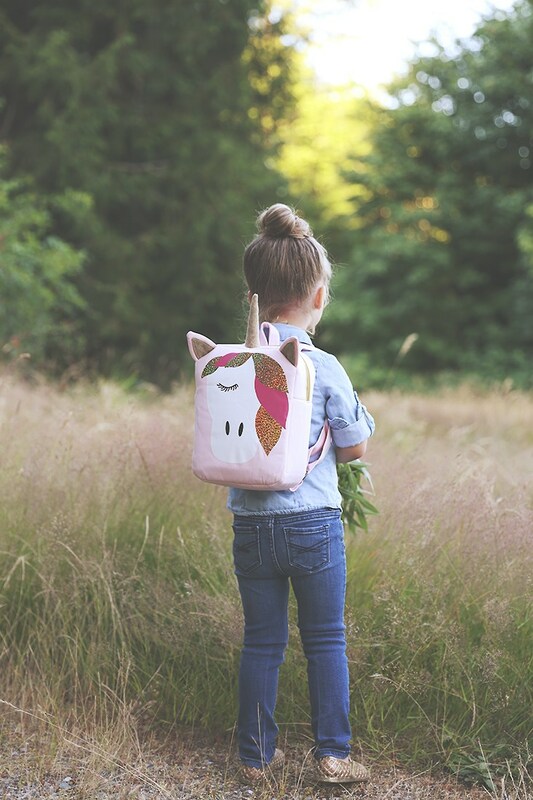 It provides clothing coverage where you need it while also helping you keep your most important tools near by. Such a smart look! Every gardener knows how nice it is to have your tools within an arm’s reach. A gardening apron plants just what you need, right where you need it. Hobby Farms gives a detailed tutorial here. For those of you who like to share your creations and projects with others for purchase, a vendor apron is an absolute MUST have! It can be hard to keep everything straight when you have a group of customers all demanding your attention at once, but a vendor apron does the thinking for you. Keep business cards, pens, cash, and your card swipe device all in one easy-to-reach place! Crafty Staci gives all the DIY details here. 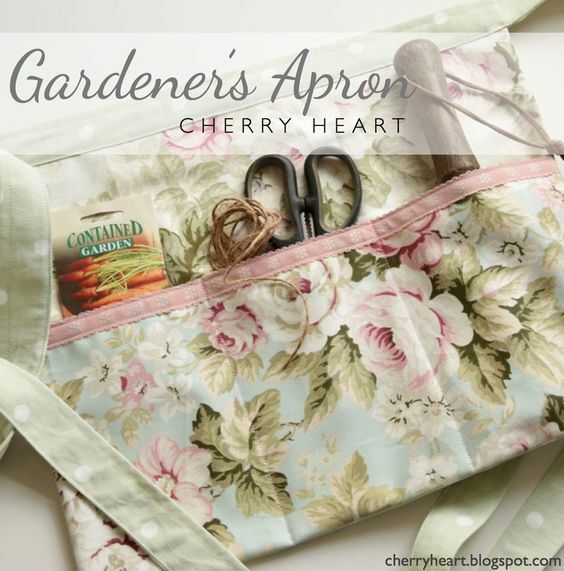 Another great apron for gardeners is the harvest or gathering apron. No need to try to shove your arms full of your excellent crops and carry it all back inside unsuccessfully. 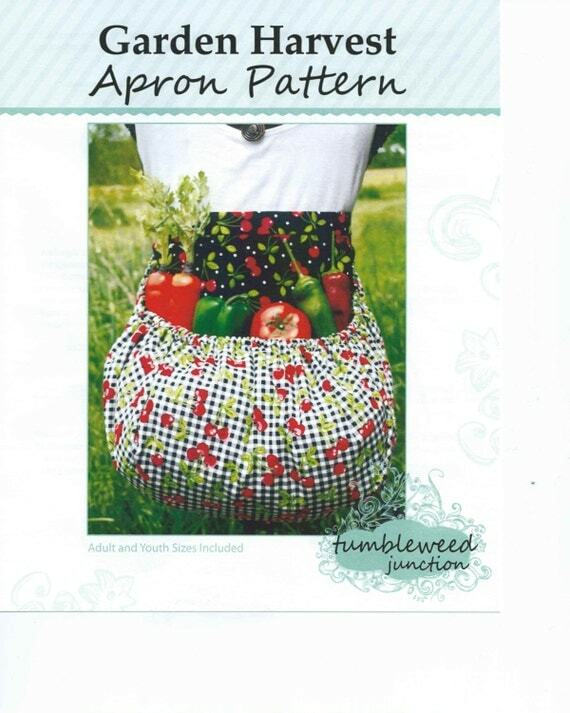 Just tie your harvest apron around your waist and let it do the heavy lifting for you! Find the pattern here! Little Chefs need an apron too! 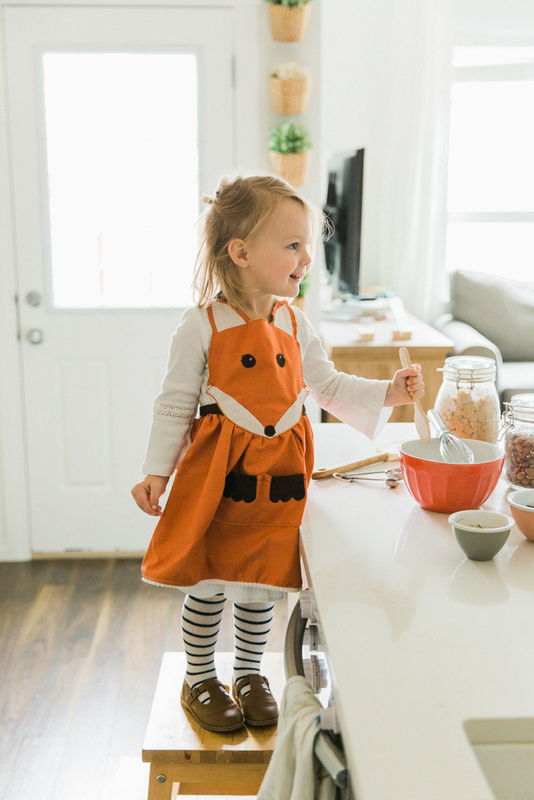 And it doesn’t get much more adorable than this children’s fox apron! Look at the little paw pockets on the front. Best part of all?… it’ s reversible as well. Get the furry details from Simple As That.